Summer is the time for cycling. 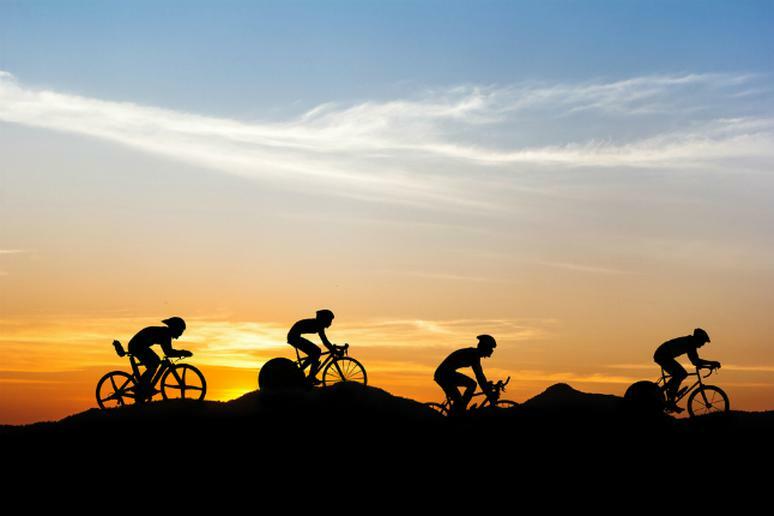 Longer days and warmer temperatures make it easy to be out on two wheels all day long, but as avid cyclists know, that day-long outing can cause some pain. For tips on avoiding some of the discomfort, we turned to professional Ironman triathlete Travis Hawkins. After spending countless hours in the saddle, Hawkins has a few key suggestions for avoiding the pain. It’s the most important thing you can do to get the most out of your bike. If you're fit is wrong, you are being inefficient and likely uncomfortable. A good bike fitter should have a certification and be able to explain why the adjustments made to your bike will benefit you. A good fitter will help you chose the correct saddle for your performance and comfort. Initially, it may seem like softer is better but over the long ride you will learn that this will lead to more discomfort. When it comes to bike shorts, everyone's preferences are different. There are essentially 3 different styles: bibs, shorts and tri shorts. Bibs and cycling shorts have a larger pad for saddle comfort. Bibs have shoulder straps to keep everything in place and are generally regarded as the most comfortable. Tri shorts have a very small pad as they are also used for swimming and running. Less is always more. For comfort's sake, you will always want to have the least amount of clothes on to remain comfortable in the given temperature. This takes practice and experience. Catching a chill while cycling is hard to recover from as the wind speed is much greater than running or walking, but wearing too many layers can be cumbersome and cause you to sweat which will bring on other issues. Find Travis Hawkins on Twitter or at theeverydaytriathlete.com.